Now that he has his Oscar, Leonardo DiCaprio can start making fun movies that are just excuses to hang out with his pals. Case in point, Variety is reporting that DiCaprio will soon be reuniting with his old friend Marty—a.k.a. acclaimed director Martin Scorsese—for an adaptation of true-crime thriller Killers Of The Flower Moon: The Osage Murders And The Birth Of The FBI. 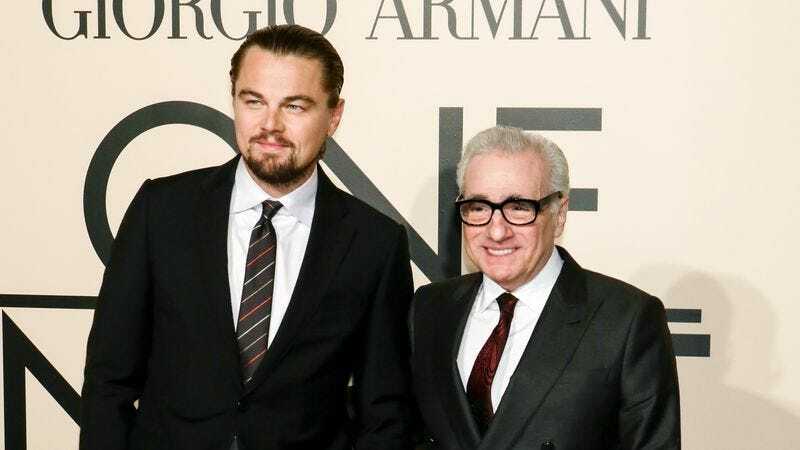 Of course, as hinted by the title, this doesn’t sound like a particularly fun movie, but at least Leo and Marty will be able to talk about how much they enjoyed making The Departed, Shutter Island, and The Wolf Of Wall Street together. The book is set in the 1920s, and it’s about a series of murders in Oklahoma targeting members of the Osage nation who recently discovered oil underneath their land. The mystery was one of the then-nascent FBI’s first big homicide cases, meaning Director J. Edgar Hoover might make an appearance and establish this movie as a prequel to J. Edgar. Also, the adaptation is being written by Oscar-winner Eric Roth, who previously worked on Forrest Gump and The Curious Case Of Benjamin Button, so maybe this is DiCaprio getting greedy and trying to get a second Oscar.